Let’s be serious, if you’re selling a product or service but not selling it online, you’re living in the Dark Ages, missing out on even the possibility of many clients. I never cease to be amazing at how many of our wonderful, forward-thinking clients don’t even have websites or social media (or websites that list contact info and social media.) At the bare minimum, you need to have an online presence. But even better is to have a way to sell online. Now, right within your business proposal software, you have a way to get paid online, too. 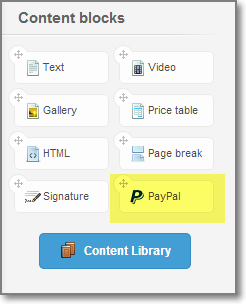 Last week, we were super excited to announce that all Quote Roller subscriptions now come equipped with PayPal. Well if you live under a rock, PayPal is probably the most popular online-only e-commerce business, which takes care of online transfers and payments. Money. Money. Money! So you can get paid, fast and easy. And with an assurance of no checks bouncing or credit cards rejecting. More confidence of security: PayPal is known and trusted. It has the highest level of data encryption and your client doesn’t have to give you any of their personal or financial information. It’s easy! Below we’ve copied the instructions for all the ways Quote Roller and PayPal work, but, simply put, all you have to do is drag and drop that content block right into your business proposals. If you include PayPal within your business proposals, you can save time and money by not necessarily having to go through the process of creating, sending and following up on invoices for your clients, with them having the way to pay you whenever they want. Since your clients probably already have a PayPal account, you lose the muss and fuss of having to get their billing information and they lose it for having to set up payments with their banks. 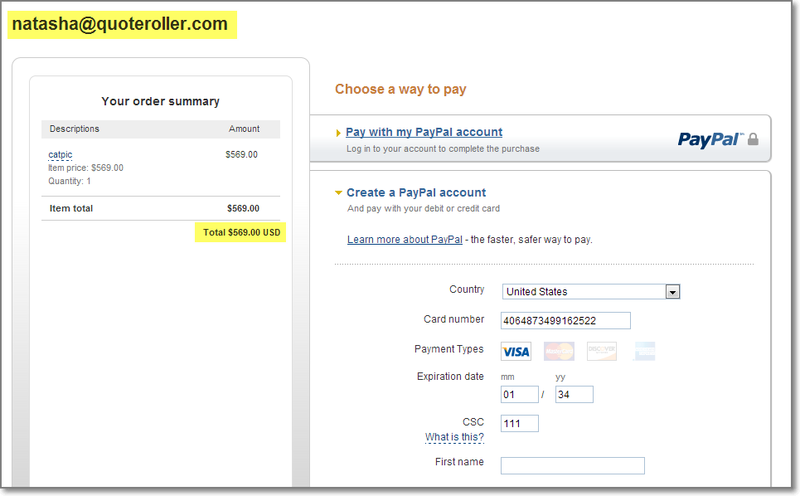 After clicking on the PayPal button, the client is redirected to the PayPal system where he or she can pay either from an existing PayPal account or register a new one. They will then receive the message below. Basically, with the help of our rockstar integration partners, now you can do your entire client lifecycle within Quote Roller! How can you use PayPal to close faster? Who should we integrate with next?